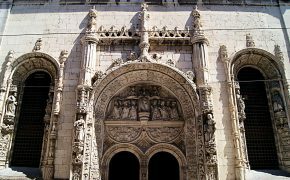 The Nativity Scene of the Estrela Basilica is one of the most spectacular amongst the many baroque nativity scenes that exist in Lisbon. 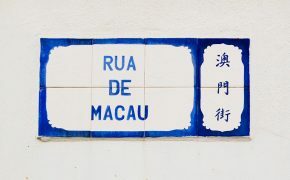 It was ordered by Queen Maria I to the sculptor Machado de Castro. 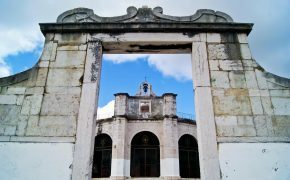 The complex of the Estrela Basilica and of the Convent of the Nuns of Carmelites is situated in Estrela and is one of the most well-known religious temples of the late 18th century of the city of Lisbon. Queen Maria I promised she would order built a church if she were to get pregnant. Thus, between 1779 and 1790 this monumental building, the first of the world dedicated to the Sacred Heart of Jesus, was built. 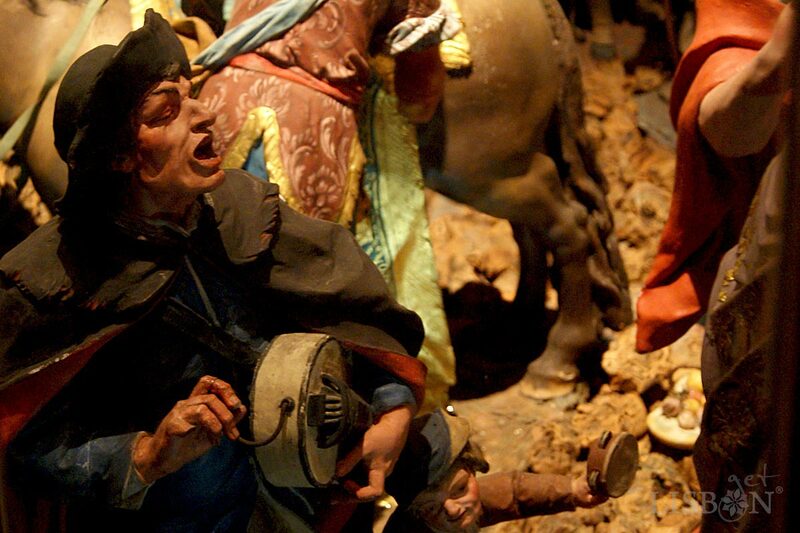 It is here that we’ll find the extraordinary nativity scene that we bring to you today. 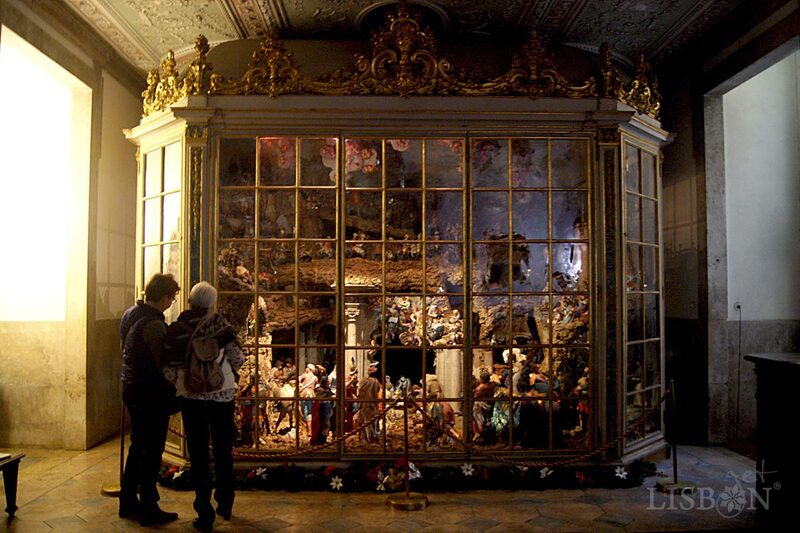 The Nativity Scene of the Estrela Basilica was executed between 1781 and 1785, is constituted by more than 400 figures and is closed in a glass cabinet that protects it. It measures around 5 metres of width by 4 of height and around 3 of depth. It originally occupied a bigger room, decorated with tile panels that reinforced the iconographic programme of the Birth of Jesus. Only did the nuns and eventually the royal family have access to this room. During Christmas time, the cabinet doors were opened and the observers became worshipers, just like they too were figures of the nativity scene. Today the nativity scene is placed in the old sacristy of the church, located in the right arm of the transept. It can be accessed by going around the Queen Maria I’s tomb, a magnificent work of funerary art of the 1st half of the 19th century, from the sculptors Faustino José Rodrigues and Giovanni Chiari. Although the size of the space doesn’t allow the grand nativity scene and its respective glass cabinet to shine, this set doesn’t impress any less. To visit it, only a symbolic amount is charged. The Nativity Scene of the Estrela Basilica was first restored in 1950, having suffered a few changes. 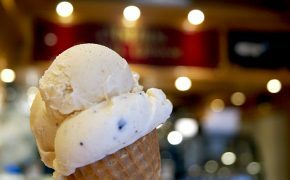 More recently, in 2003, it suffered a new intervention that replaced the original position of some figures, and was also studied in-depth, which allowed us to get to know this valuable patrimony better. 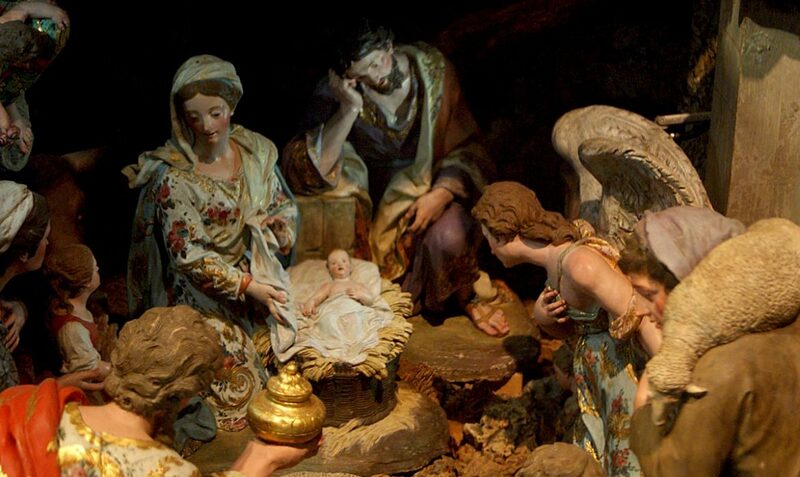 The representation of the Nativity Scene is an old reference that gathers information about the birth of Jesus present in the Books of the evangelists Luke and Matthew. The idea of recreating a nativity scene during Christmas time appears to have come from Saint Francis of Assisi, in order to educate those who weren’t religious and that, through images was way more effective. The illustrations allowed to more easily understand and interiorise the message that was transmitted. For this reason, the practice of building nativity scenes diffused since the Middle Age, first among the religious, then within the royalty and finally, already in the 18th century, it was spread across the houses of all Christians. 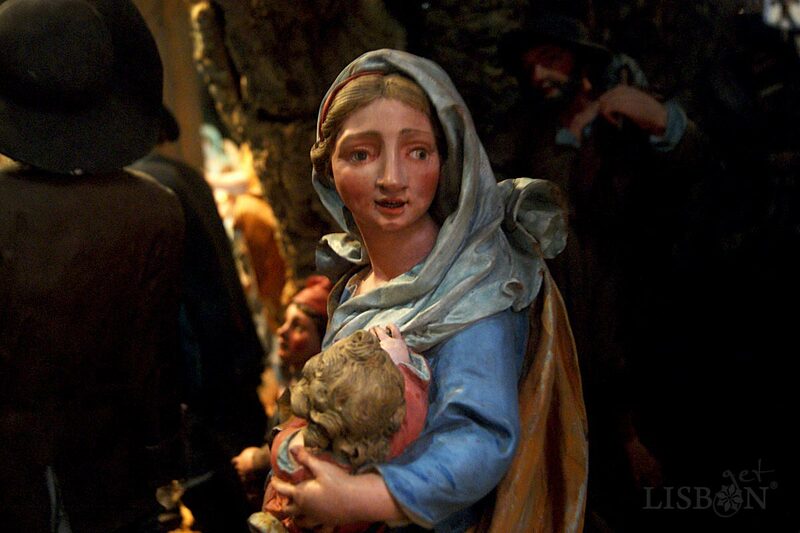 The traditional Portuguese nativity scene has a very curious characteristic. In addition to the figures that represent the Sacred Family, the Kings and the Shepherds, we can find a diversity of contemporary figures of the 18th century, in an incoherence of eras that we shouldn’t find odd. In this period, the artists didn’t stop themselves from representing personalities from older times, wearing clothes and living in traditional houses from the 1700’s. Today this practice would be considered at least extravagant, but we must understand that the capacity and way of reading the images have changed significantly. 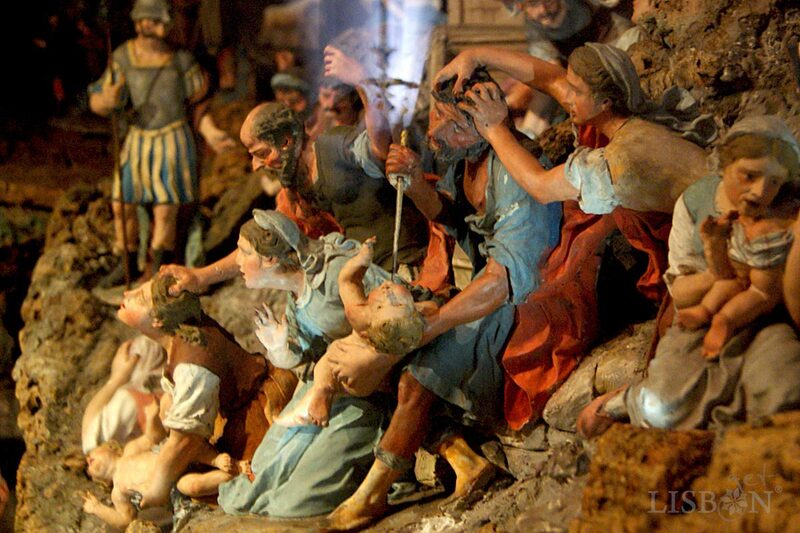 In the tradition of Portuguese nativity scenes, we can observe in the Nativity Scene of the Estrela Basilica typical scenes of the society of the time, a fight between two women next to a fountain or a tavern scene that coexist with the biblical narratives of the Annunciation to the shepherds or the Massacre of the Innocents. Less traditional is the presence of the three wise men in a highlighted position that we can observe in the Nativity Scene of the Estrela Basilica. The Adoration of the Magi is a novelty and is justified with the fact that it is a royal order. All the nativity scenes have a subjacent message and in this case we have a compliment to the queen. 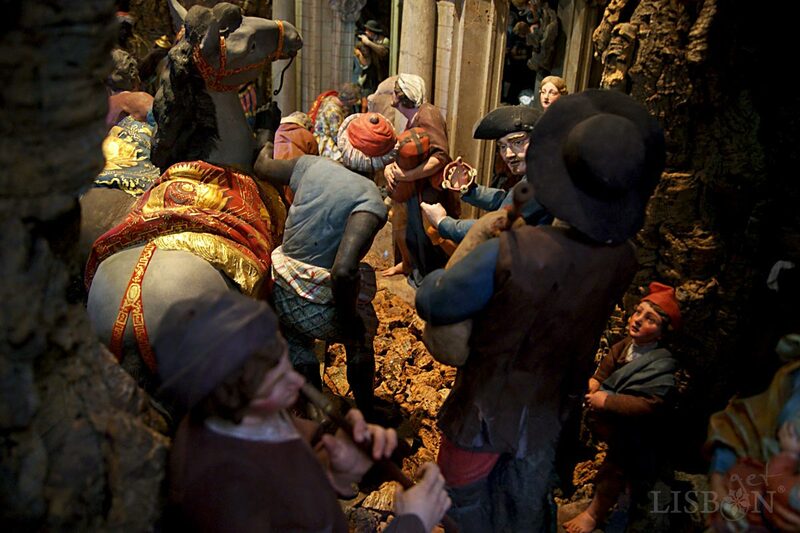 It was believed that these nativity scenes had their origin in the famous Neapolitan Cribs, but more recent studies tell us that the Portuguese exemplars are older. Joaquim Machado de Castro (1731-1822) was a famous and notable Portuguese sculptor of the 18th century. Although he never studied outside of Portugal, he became a baroque erudite artist of Italian taste. 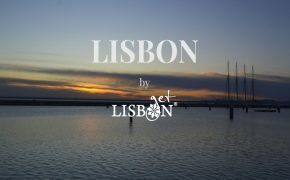 He was the author of the magnificent statue of King José I that is located in the Praça do Comércio, as well as of other relevant pieces, such as some of the ones we see in the façade of the Estrela Basilica. However, his fame as a creator of nativity scenes, in the majority of the royal orders, exceeded his activity. Many of the baroque nativity scenes that were attributed to him were from other masters whose names didn’t reach such level of fame. The Nativity Scene of the Estrela Basilica was ordered by Queen Maria I to Machado de Castro, being in this case, undoubtedly of his authorship. Being constituted by such a high number of figures, it is easy to conclude that not all of them were executed by the master. 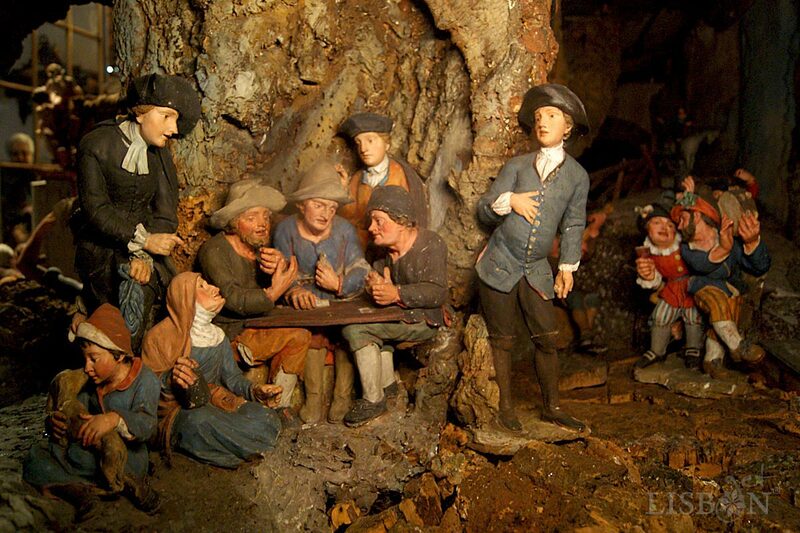 Contrary to what may be common belief, the sculptor didn’t reserve for him the execution of the main figures, since these don’t allow major variations of execution. We can, thus, observe attentively figures that, given that they’re not as relevant, are more creative pieces of higher plastic and expressive value. This is the case of the blind musician and of a woman who is breastfeeding a child. The nativity scene was built on a big wood and cork structure where zones of concave and convex are intertwined, creating games of light and shadow. If we think that the nativity scenes were illuminated with candles, which has led to the disappearance of many, we can imagine the dramatic baroque impact that constituted the observation of this work. The theatrical character, also baroque, is patent in other aspects in the placement of the figures of the Sacred Family. These are standing on the ruins of buildings of the classic antiquity, representation that is symbolically linked to the end of an era of paganism. 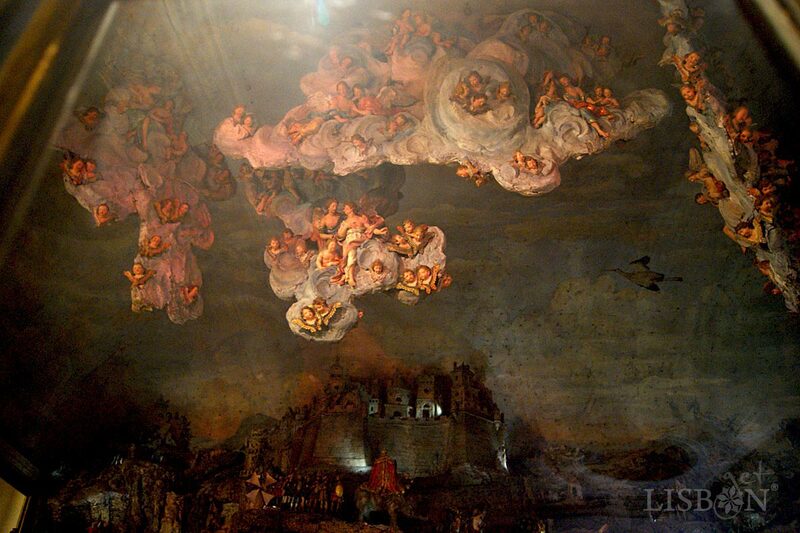 The suspended clouds, replete of angels and cherubs, are too developed in different plans, creating dynamism, depth and a scenographic sense. All of the figures have a dynamism as they were really moving and our eyes have trouble focusing in just one piece or in one scene in particular. The majority of the figures are in terracotta, constituting the horses and the clouds a curiosity, since they are made of rag paper over a metallic structure, an old technique similar to papier mâche. The monumental Nativity Scene of the Estrela Basilica is waiting for you this Christmas, don’t miss it!